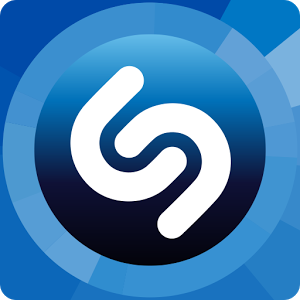 Music discovery app Shazam has always been a bit stylish by Android standards, but today's update adds both some more modern visual polish and notable usability upgrades. 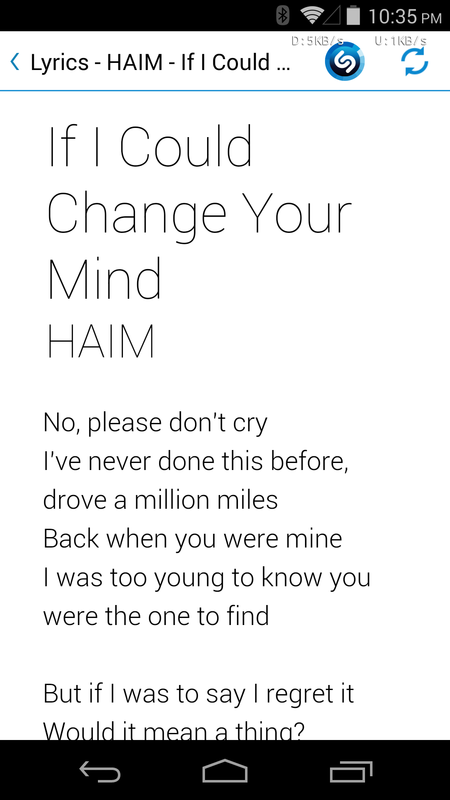 In particular, the auto-scrolling lyric function has been improved in version 2.6: it now supports a more natural portrait layout and much more readable text, doing away with the funky word art. Auto-scroll isn't universal, but when it works it's pretty neat. That should be a boon to your impromptu karaoke sessions. 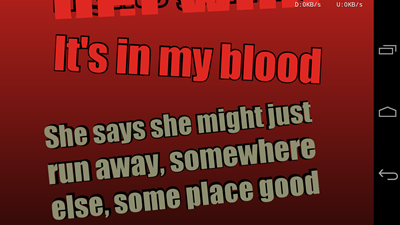 New version with portrait auto-scrolling lyrics. 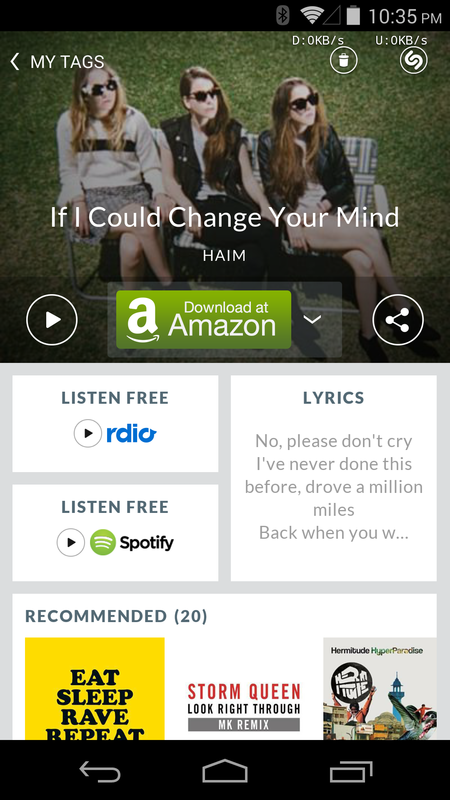 Shazam now integrates better with Rdio, a partnership that began earlier this year. If you've connected your Rdio account to Shazam, you can add an identified song to an Rdio playlist. 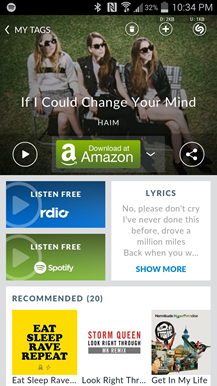 Song and album pages have been given a bit of a visual refresh, with colorful links to music services, but the basic layout seems to be unchanged. 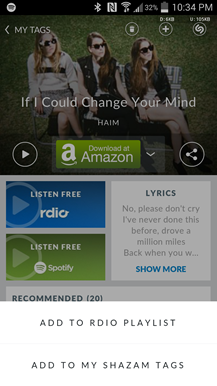 The UI is still a long way from Holo, but it works well enough, with quick links to Rdio and Spotify for streaming and Amazon for purchase. Unfortunately it doesn't look like Google Play integration is in the cards. 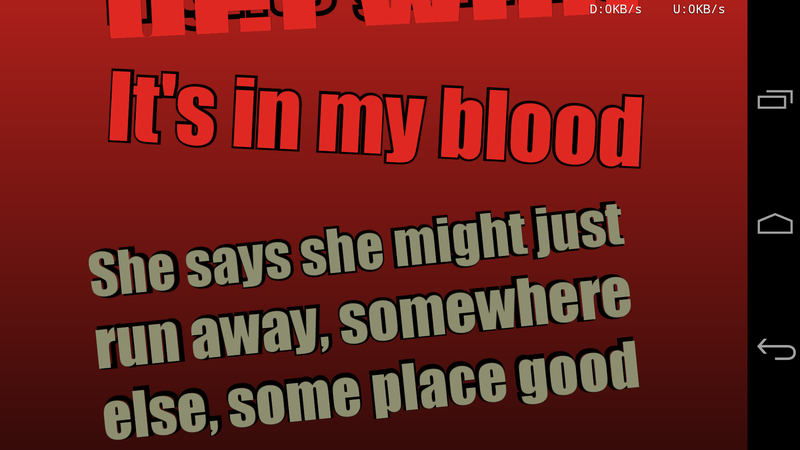 Old version with funky word art auto-scrolling lyrincs. The free version of Shazam is still advertising-supported, but if you'd like to forego the ads, you can upgrade to Shazam Encore for a pricey $5.59. The premium app has the same features for today's update.